This article will provide instructions on how to connect a BlackBerry phone to your wireless network. 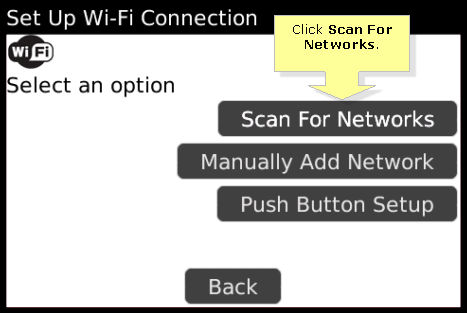 Go to Manage Connections and click Set Up Wi-Fi Network. NOTE: Ensure that Wi-Fi On is selected. On the Set Up Wi-Fi dialogue box, click Next. 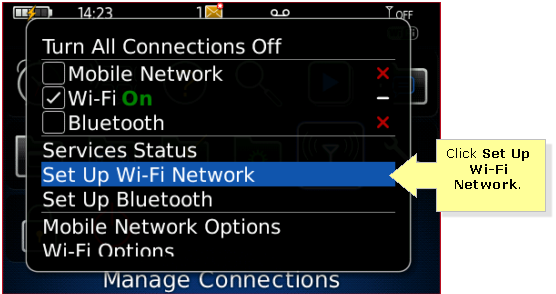 NOTE: If the router is enabled with Wi-Fi Protected Setup (WPS), the BlackBerry phone will generate a PIN and will ask you to enter the PIN in the appropriate field in the WPS page of the router. To skip this step, select Cancel. 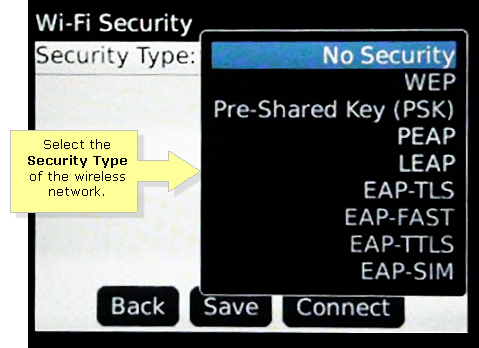 To learn more about the Wi-Fi Protected Setup feature, click here. Specify the security type and press Connect. If prompted, enter your wireless network’s password or passphrase. 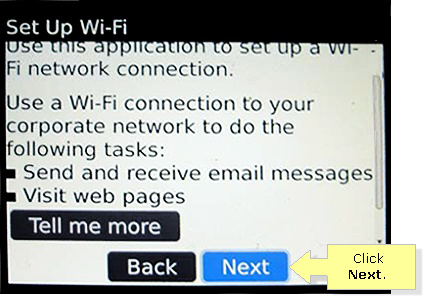 NOTE: There is a possibility that the Wi-Fi Security screen will only prompt you to enter the wireless network’s password or Pre-Shared Key directly. In this case, enter the password, then click Connect. Click Finish to complete the Wi-Fi connection setup.